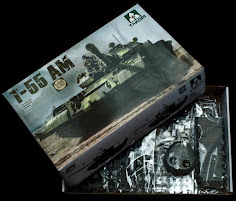 When you first see a kit from a new model maker you are naturally tenuous as to how it will build – will they get anything wrong? 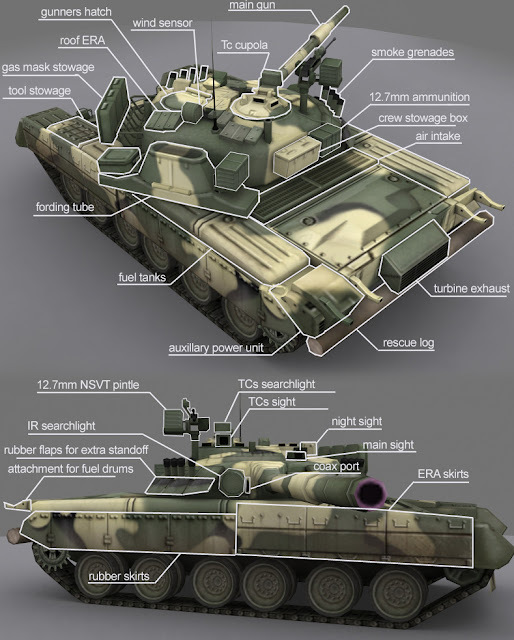 This is especially magnified in a kit not often kitted – Take the new Xactscale 1/35th scale T-80U Russian main battle tank. 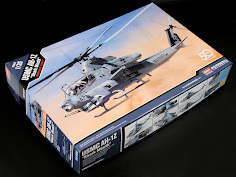 A new kit from a brand new model company – what better a time to relax and “just trust the force?” Let’s see if we did and how we went with this promising kit. So today we have the first release from a new model company called Xactscale. 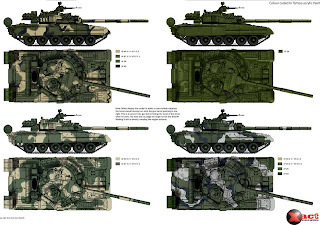 They have ambitious plans – coming into the market with three models now – the Russian HMV GAZ-2975 "Tiger" (XS-35002), the forthcoming “Flying tank” – the Ukrainian T-84 Oplot-M (XS-35003) and this – the soviet’s famous MBT during the height of the cold war – the Russian T-80U MBT (XS-35001). 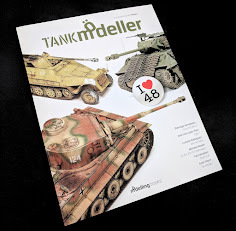 For a lot of modellers this tank will be new territory – a lot of modellers will be stuck into WWII kits since an early age. 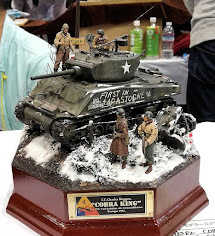 However the market is crowded and there are only so many times you can make the same tank in 35th scale. So model companies are going further afield in their efforts to do or best already done other subjects from different times/genres to get a share of the untapped market. Late year we had a heap of softskin vehicles, and this year it seems we are going WWI or post 1945 in our releases. This tank falls firmly into the latter territory. 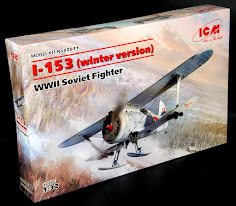 New kits are always a quandary to modellers – so we thought we would examine the kit and build it up to show you what the quality is – we will leave it to Wikipedia for the historical details and absolute accuracy. The Purpose of this write up is to help you build your own kit and to see the metis of the kit so hopefully it does just that It's meant as a build article and not a history lecture. For those of you unfamiliar with the T-80U and like some copied history in your review here is a little of what the manufacturer says on their spiel in the instructions…. 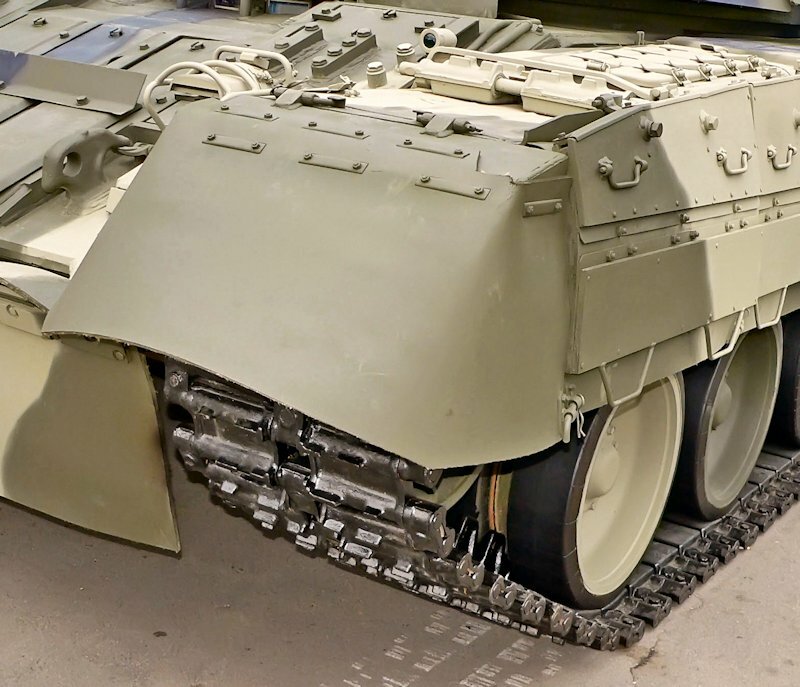 “Developed from the Soviet Union T-64 at the Morozov Design Bureau in Kharkov, the Russian's T-80 was putted into service in 1976. 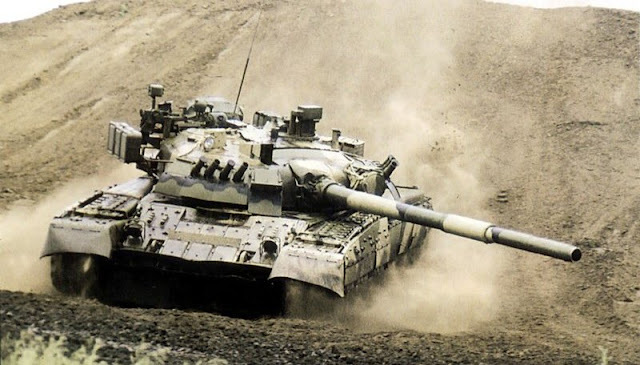 In 1985, modernization resulted in the beautiful T-80U. 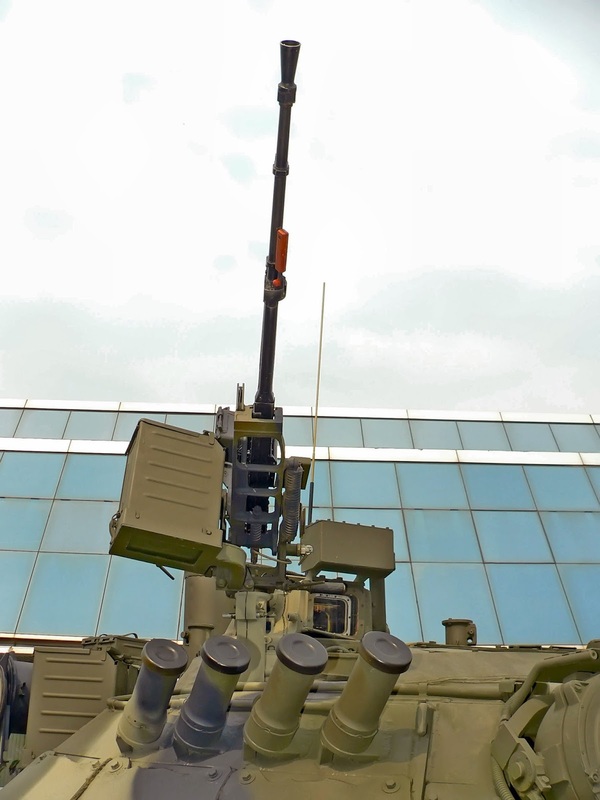 Featured a newly designed turret which equipped with the second generation "Kontakt 5 " explosive reactive amour and a Brod-M deep wading equipment. 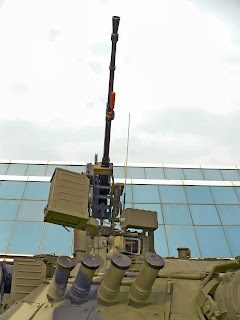 Arming with a 125mm 2A46-1 smooth bore gun which can fire the 9M119 Refleks (AT-11 Sniper) guided missile and the Long-Rod penetrator (HVAPFSDS) 3BM46. 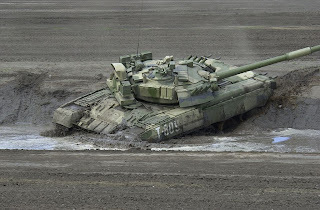 With a top speed of 70km/hour, T-80U is one of the fastest tank in service today. It was the first tank ever fitted with a gas-turbine engine, the GTD-1250 producing 1,250 hp (919 kW). 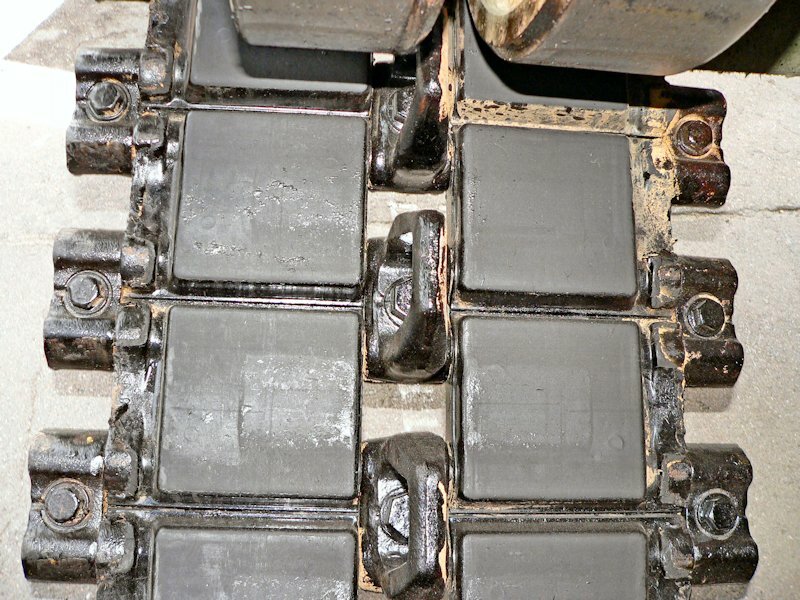 It's mobility also ensured by the planetary power transmission controlled with hydraulic servo-system. 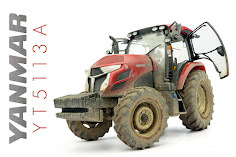 Running gear featuring torsion bar suspension system with hydraulic telescopic double-acting shock absorbers, RMSh track and rubber-tyred road wheels. 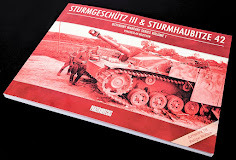 On to the instructions are in the form of a black and white booklet that fistly gives you the history and a sprue map – and then directory on a 46 step build of the model. I have to say that especially for a first up hit out the instructions are excellent – not confusing and easy to follow. A nice point of the instructions is to tell you what the parts are as you assemble them. The instructions really a help you a lot until you get to the turret – then the guessing game starts. There are several holes to drill and the directions are a little bit hazy as to which exact angle to drill some of them. These I did not drill and left it up tot actual pictures of the tank to build my kit. This being a new kit I was uncertain as to the instruction’s accuracy. I can tell you that in the end I took the long road and that I needn’t have worried. The instructions are correct and the holes that you have to drill are all indeed valid. When making the turret I would say have a good reference/ walkaround handy. I found a very good one at Prime Portal at which I took most of these pictures I used to support the kit build. The trouble is showing the turret just from the front leaves you in two minds about the placement of some parts on the turret. References help a lit with this so get them! 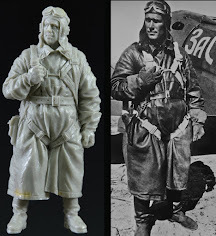 The kit plastic itself is of a medium density – not too soft like some kits from china of late - and not too brittle. There are not that many injection marks in places that will be seen. 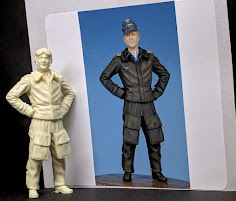 In fact during the making of this kit I was very impressed indeed of the skills of the 3D engineers and the injection moulders because nothing is out of place. As you build the model you find that every part of the kit is meant to go in a certain place as much as it looks odd at the time, another part will come in and fill that gap (more on this later.) There is no flash on the smaller or thinner parts and there isn't a bunch of little knobs to remove every time you cut a part free either. There is a contentious weld on the top of the turret as well as the casting texture – the answer is a pineapple in a way, because it will please some and not others. I quite like the turret detailing myself – and any shape or texture issue is pretty moot unless you do not want to cover it with all of the reactive armour plates covering it anyway. This - combined with the easy to follow instructions and basic simplicity of the kit will speed up the building process. There are three photo etched sheets with this kit, the largest sheet holds the radiator grilles, an oval lining for the BROD M intake, and some handles for the external stowage boxes and rear wheel mud scraper which will need to be bent into shape with the template included on this sheet. Photo Etched BROD M intake grille: - this is conveniently pushed out so all you have to do is glue it to the top of the Brod M intake. The third PE sheet is filled with mainly the two large front “rubber” mud guards. These fit to the front injection moulded plastic. It does say in the instructions that you just bend them once glued on – well see more of this later. There is some twisted cloth/wire to use as a tow cable that attaches to the supplied injection moulded towing loops. A detailed underside that no one seems to have pictures of in real life! So no comment here. Looks good though..
Like em or loathe em they are sold with the kit. To be honest I have made far too many delicate track sets recently to not want to get the most out of these. 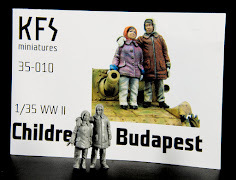 The detail is excellent and the application – some simple superglue and some tweezer pressure really cannot be bested. They went together really fast and are a dream to take off and replace as they do stretch a little. Especially as on this kit the road wheels and drive wheels do not turn. Some wil opt for the Fruilmodel tracks and probably the metal barrel as well – but these are perfectly adequate, accurate and easy to use. the long fenders are a labour saving device that run the whole length of the kit – they can be installed right near the end of the build or at least when you have finished weathering the running gear. 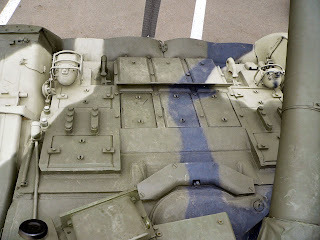 The blade for the front of the tank is well detailed and slips right onto the bottom of the front hull and joins the top glacis plate. There is a dip in the rear hull which the engine deck sits on top of. There is a large wooden log as well for when the vehicle gets stuck - it attaches to the rear of the vehicle and was standard issue on these state of the art tanks! Sprue C - Glacis plate with the “Kontakt-5" armour. 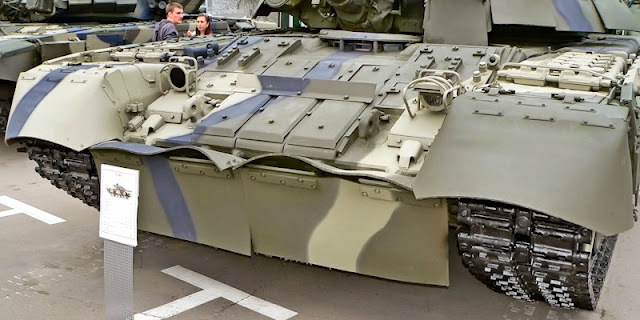 The frontal armour again rests right into the hull, and just when you think it will show a gap you have the “Kontact 5” explosive reactive” armour to cover it all. This sprue also has some spare tracks to throw into the top deck as well. 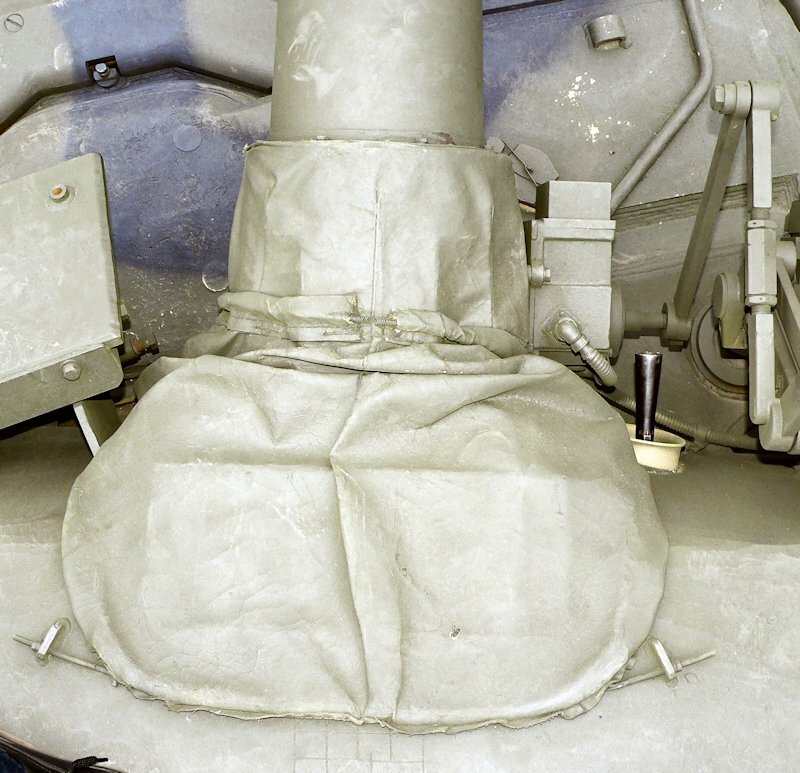 These parts of the fuel tanks simply glue to the fenders – this is the reason there are some gaps in that sheet. After a little sand they look very nice on the fenders. Full of smaller detail – this is the sprue you will need to get started on the shock absorbers for the suspension, these is also the large 44Gal fuel tanks that sit on the rear of the tank (these guys loved to live dangerously) and the front “mud guard” for the glacis plate. There are also the several part idler and drive wheels which are to be glued directly onto the hull. This is something that has been flagged up already and we’ll talk about later. There are some towing gear here in the form of lops for the supplied cable and the hooks to attach them to on the hull. 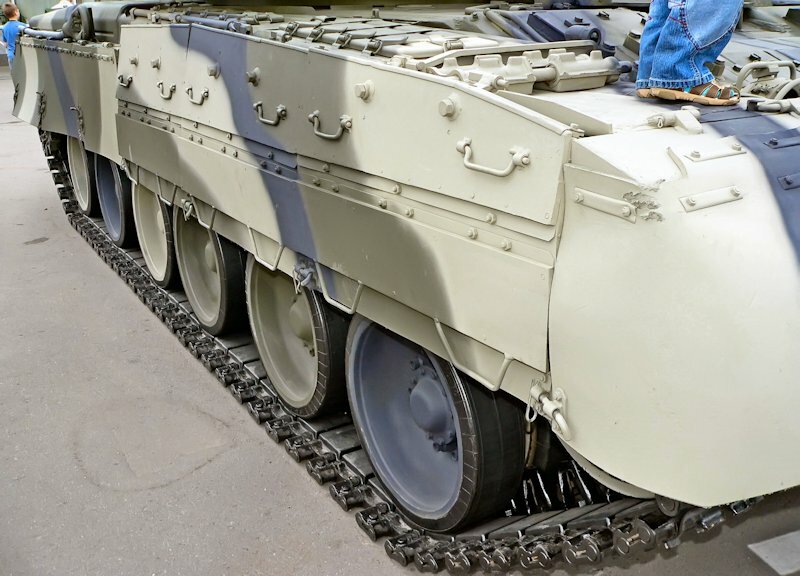 The large reactionary armour skirts for the front of the vehicle are an easy attach at the end of the build and do not need to be put on until last. 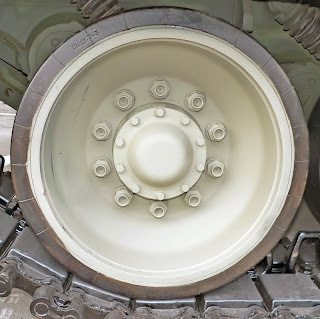 These are not overlapped - they sit straight down on the side of the tank and are used for standoff protection along with the frontal ERA skirts. The driver’s hatch pivots on a spigot that should be longer so you an open/close it at will. Sprue J: side skirt details. This sprue contains the rear mudguards and parts for the left rear guard auxiliary power unit. Sprue K: Exhaust diffuser, driver’s periscope cover. Sprue L: NVST 12.7mm machine gun mount/pindle. The large flat turret is on this sprue – with cast marks and raised weld seams that detail it I like the effect here very much. Even though a lot of it will be covered. 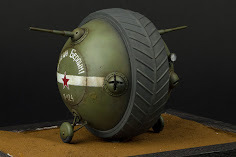 There are the faces of the sighting gear for both of the turret hatches as well so there isn’t just an empty shell if you decide to use the option of the open hatches in the turret. The turret base sits on a pivot that fits into the tank hull by that old chestnut the two tabs and twist! The thing I am not sure about here that many would like to not have the hull and turrets closed off from each other – simple – just carve out the centre holes. 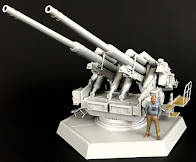 In this you get a full but not hollow 125mm gun – it is well moulded but many would want to further hollow out the recessed end, While the detail is there and completely adequate some will always want metal barrels – but that’s unnecessary in my view here in my opinion. 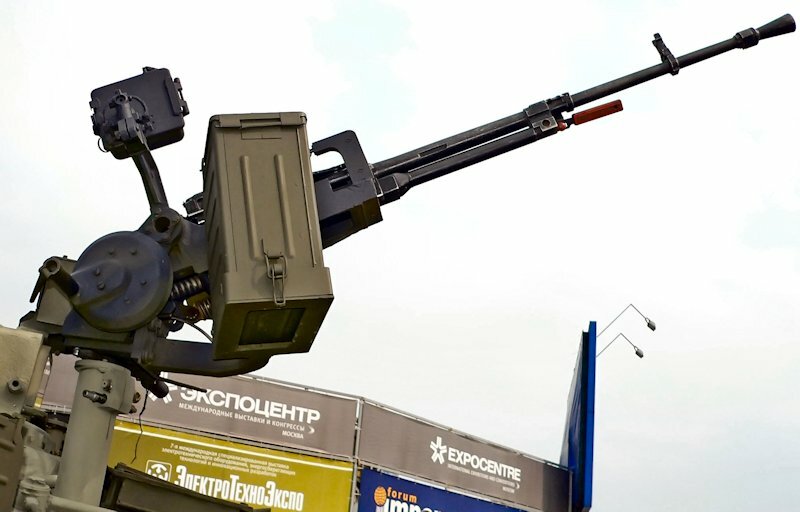 The NVST 12.7mm machine gun is represented here on this sprue – the barrel/flash suppressor will have to be hollowed out a tad as this is quite a point of focus for this vehicle. There are the other complex parts of the pindle/ mount to this gun on the sprue as well. Along with two turret hooks and the solid barrel end of the turret machine gun you have on this sprue a mantlet for the 125mm gun that replicated the canvas/material that covers this joint. The one thing that I would change about this is that you can only display the gun at the one elevation of you are using this. You can fudge it upwards a little or even use some filler to replicate more of the material if you want – that should work pretty easily. The deep water fording mechanism – called the BROD M (BROD – means ford in Russian) is all here on the one sprue – so it is easy to find the parts to assemble - I guess its good for the manufacturers as well! The seams on the large horizontal snorkel are hidden in construction – I was wondering if that would show but the engineers have done a very good job on this. Saying this there are some lovely welded seams needed to be seen on this part that looks just great! 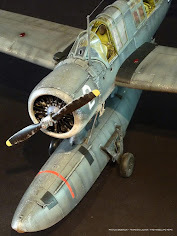 Sprue S – Wiring for the ERA/smoke dischargers, turret ERA armour + gun mounted IR searchlight. 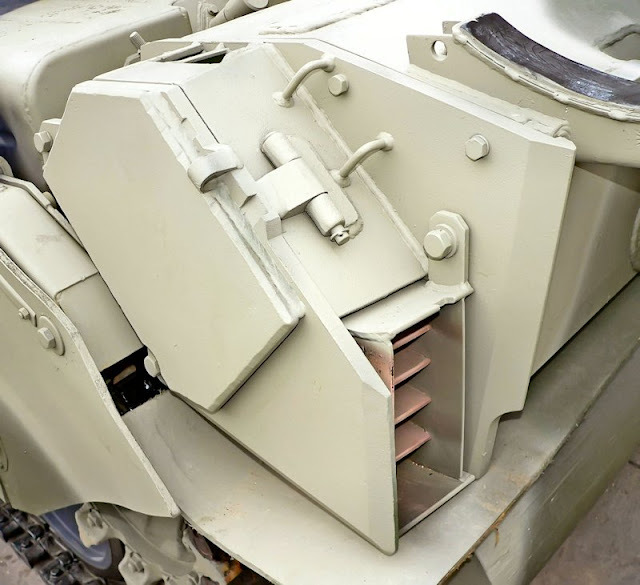 Included here are the intricate parts for the turret-joined IR searchlight, plus the KONTACT 5 armour for the top of the turret – these fit neatly into the 1mm drilled holes. This is joined to the gun via a plastic arm that fits nicely into the notch provided. Luckily you cannot move the gun though as you would break it no doubt. There is also some thin(ish) cable wiring for the right hand side turret exposed wiring which fits nicely on the completed turret. 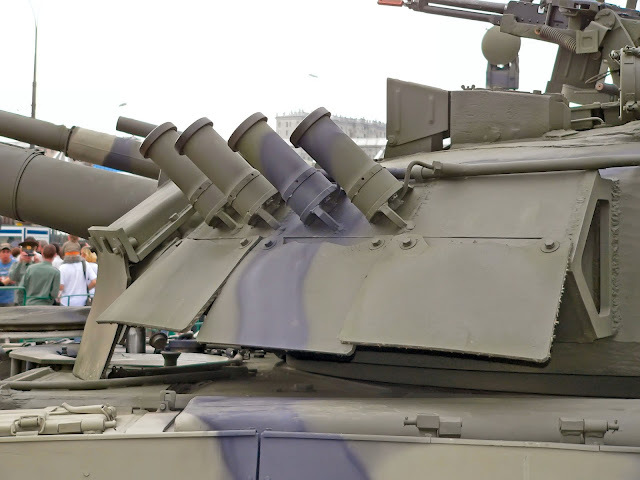 The frames that hold up the personal storage boxes on the left hand side of the turret are here as are several boxes of external and ammo storage for the external machine gun are on this turret. Some of the external storage boxes leave seam marks once glued together but several are right next to each other so it is hidden, the large BROD M fording tube base and details are all here as well. There are eighteen road wheels on these two sprues which make most of the running gear. The writing on the wheels is discernable as are the bolt detail – more on these wheels later. There is a single sheet of decals here with both the internal turret sighting decals and several copies of white numbers to go onto he hull of the tank. We are given four different colour schemes here to apply to our vehicle but not told who operates whom! A bit of a guessing game I would hate to apply the wrong one for the dio you are planning so references are good here. Colours are called out in Tamiya colours. Step 6: The wheels all secure into place here – all fixed by glue there is no driving this around like you are playing army men. 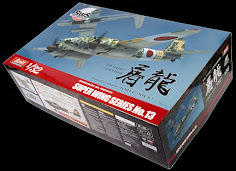 This is a static model, and while it’s a good option there is nothing like a rugged kit that can actually be moved! Tracks go on in step 7 – they can be glued with kit glue but only after I applied super glue did they take notice! these can come on or off very easily to paint the undersides - a real bonus in the construction time. No more broken links slowing you down is the way i look at it. Step 8 thru 10: are relatively simple - The side fenders slip in and out of the large gaps in the kit hull you were worried about (me too) these can actually be left off until you are finished painting the running gear – a great feature. Step 11: The rear glacis plate simply fits over the gap left on the hull behind - The exhaust is a simple but effective affair. 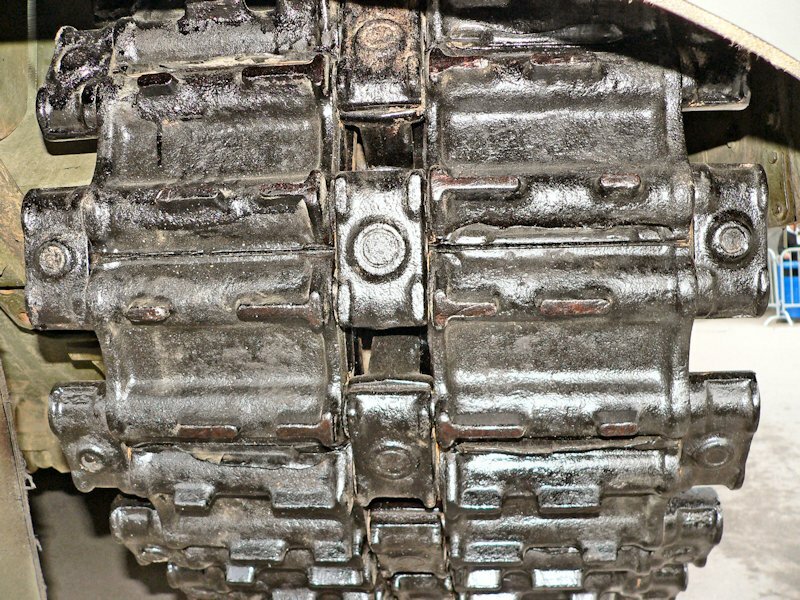 There are two little parts we show here either side of the rear tracks which are hard to locate – till someone shows you exactly where they go! Step 13 & 14: The auxiliary power unit sort of just sits on the rear left fender. It is attached on the left to the fender and to a hole in the hull on the right. So if like me you left it unattached you will have to secure it well until final fitting. Step 15: Give you the option of using the PE grilles for the engine – your choice but they are an easy addition. 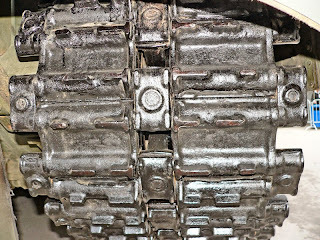 The rear fuel drums show a seam of you do not sand and fill them a little – I did a bit of work on mine and still more was needed. You cannot get these smooth enough for my liking - i always see a seam somewhere! Step 16: This step tells you to bend the PE mudguard AFTER they are on the plastic parts they are attached to – don’t do it! Bend at least the first part down before you secure it with superglue or you risk damaging the plastic guard part – the guards aren’t as tough as they think! Check your references for this as you want to capture the natural look of the rubber guards. I had a nice pair of Xuron bending pliers to help me on this – a great tool if you can get one in your arsenal. You can see by the pictures of the rear and the hull that it all fits together very well indeed there is a place for everything and NOTHING is forgotten – what a great build so far – I was pinching myself it seemed so simple! Step 17 & 18: The spare track go onto the fenders, the hooks, driver’s periscopes and lights go onto the front glacis. Why the driver’s hatch doesn't have a longer spigot so it can turn to open or close is no one’s guess. The (hopefully not destroyed like mine) front mudguards go on the fenders as well as the underside mud flaps in here. 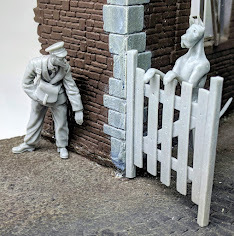 Steps 19 – 20: are pretty simple but the lights and their protective cages take some concentration to get right – they look great once finished though. The instructions are quite clear and help a lot. The turret: Steps 21 through 24: This is where you need to use your noggin a bit. There are several guide holes for your 1mm hand drill to get through, as well as some 1.5mm holes as well – it is clearly stated as to which hole goes where – I would say you can trust these holes – they are right! 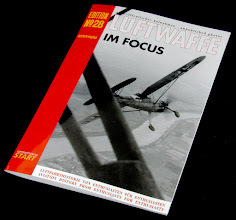 And they will help you to not have to guess later on when applying the myriad of attachment to the top of the turret. I was a bit quizzed on the exact angles to drill some of the holes on the sides – just trust the instructions and do what they say here – drill at all the angles and depths the guide holes tell you to. Once you have all the holes in the turret the ERA armour and every other detail just slips into place – not too hard these parts to fit. Step 25: The gas mask/ personal storage cabinets which hang on the side of the turret are fun to build and look even nicer with the PE handles which can be applied stretched open or tight to the boxes. Step 26 has you assembling the other stowage for the turret - ammo and other boxes which are a simple affair. Step 27 & 28: sees you putting together the triangular angled armour for the turret and the rubber skirts which go around each of them. The instructions are good but it wouldn’t suffered to have another angle – maybe sideways to see these assembled – I have shown you mine from the side to help you out. Steps 30 & 31: This is the icing on the cake – or the turret – all of the little parts which join the dots are in these two steps. The wires to the armour and smoke dischagers the delicate rear facing searchlight and the attachment of the sloped ERA armour. If you have the handy holes pre drilled it is easy work. Step 32 - 34: the Infra-red searchlight is an not easy assembly – as the brackets on the side cruel you for holding onto it – it’s a very delicate thing and I could not wait to attach it to the turret in the notch provided. There is a small linkage arm that attaches I to the gun – so thanks be that the gun does not elevate otherwise the light would break constantly. It does look impressive on the vehicle though. The remaining steps through to step 36 are easy – especially with the help of the holes in the turret. Like with the turret armour we could have done with a different view of the turret – it left me guessing a few times as to where to exactly lace some parts as I didn’t drill all of the holes I needed to. The Brod M deep wading setup is assembled next – through steps 37 – 41: It is an easy assembly that looks great – just follow the instructions and you should have no problems. You will have to sand the sides of the breathing apparatus stand on both sides to get a flat surface though. Steps 42 & 43: concern the assembly of the top turret mounted machine gun. Again this was cruelled from me by the one singular view of the weapon in the instructions, Walkarounds of the vehicle helped me a LOT here and I would arm yourself with as many good pictures of the T-80U from the top of the turret as you can. Hopefully my pictures help you with the positioning of the top turret details. The last two steps have you securing the side skirts on and the final position of the twisted cable. These fit nicely into notches on the underside of the fenders. I can say the one thing that marred an otherwise joyous build of a simple but detailed kit was the limited angles of the turret and fixtures on the otherwise very good instructions. I think it would have saved me hours in the end if I had some decent alternative angles in the instructions - so I hope this little warning helped. That said – I had to look pretty hard to fault this kit. The T-80 beats the earlier Dragon & SKIF kits which both had shape issues and I thought were poor models to build, this is just so much fun to make. It took me just a weekend to put it all together, and the good thing is now I have made it all up you can still remove parts to paint them without breaking anything. This kit is a real throwback – but It has it’s eye firmly on the now when it comes to quality and fit - Some smart engineering by the designer/injection team make this a company to watch in the future, if this is your first effort well the only way is up for Xactscale. What a brilliant, simple and fun kit to build. It looks pretty cool once it is all together as well…Next to paint it up first chance I get.